We have great news to share! 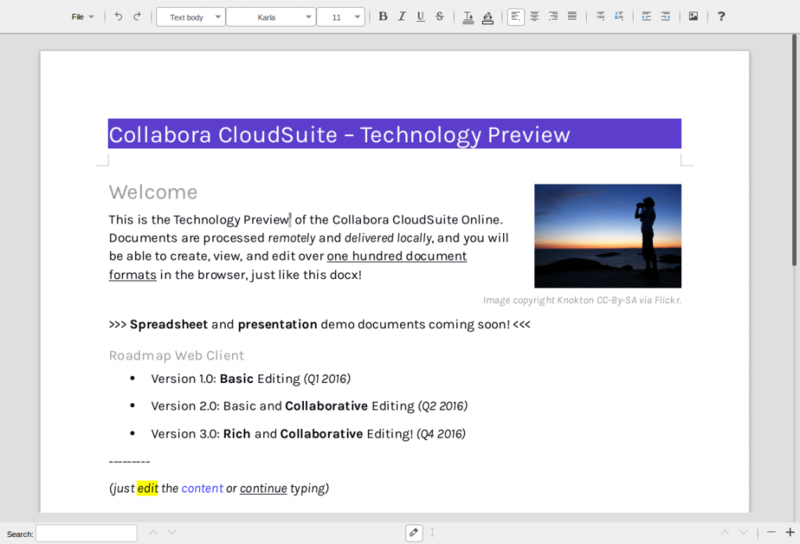 You can now try out the Collabora CloudSuite Online Editor! In this technology preview you can edit text documents. You can modify the text, fonts, colours, lists, images, etc. Just check out the first toolbar to see what is implemented already. More features will be added soon and other document types will be added, like presentations and spreadsheets!